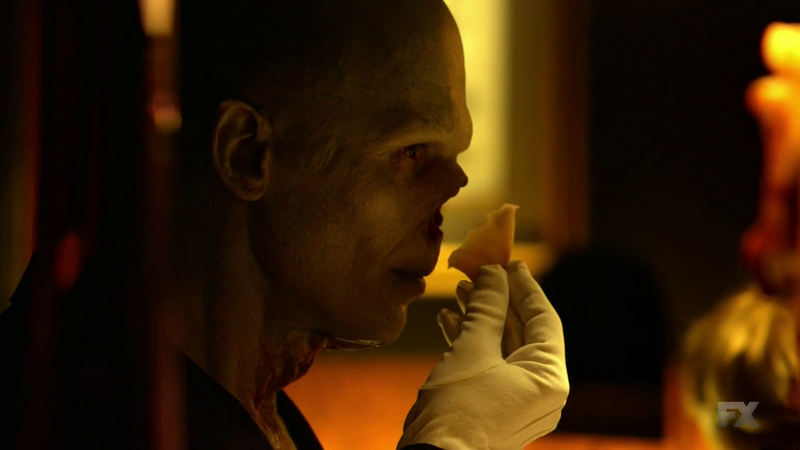 The threat of the vampire virus gains a face in this week’s episode ofÂ The Strain. 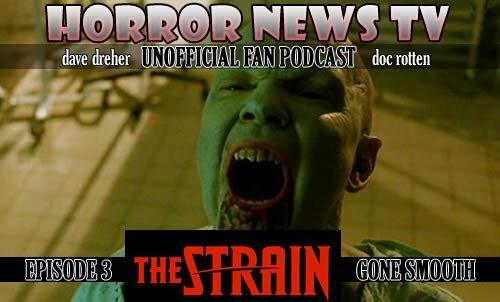 Horror News TV The Strain Fan Podcast Co-hosts Doc Rotten and Dave Dreher recap and review episode 3, Gone Smooth, talking about the gore, the characters and the monsters. Eph, Nora and Jim witness the full affects of the strain on its victims when they confront a mindless, hungry, transformed Captain Doyle who is now a blood sucking, tentacle tossing monster. Captain Doyle is not the only one who changes this week in Gone Smooth. 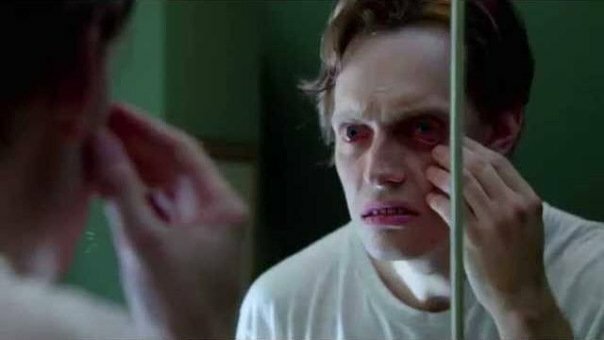 The show opens with Eichhorst doing his best Anton Phibes impersonation putting on his ‘human’ face. But it is the visual shocker of rock star Gabriel Bolivar’s finale reveal that leaves the Fan podcast horrified. Doc and Dave have lots to discuss as the recap episode 3Â ofÂ The Strain.